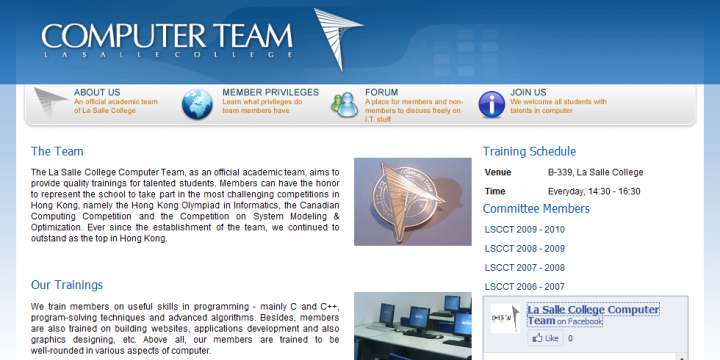 This page describes the team and its achievements. It is also linked to the team's official Facebook page. The site is used to provide information of the team to the users. Therefore, server side coding is nearly not necessary on this site. The design of the layout becomes the most important part of the site.